Cast: Joo Won, Shim Eun Kyung, Park Bo Geum, Bae Min Jun and Ko Gyung Pyo. 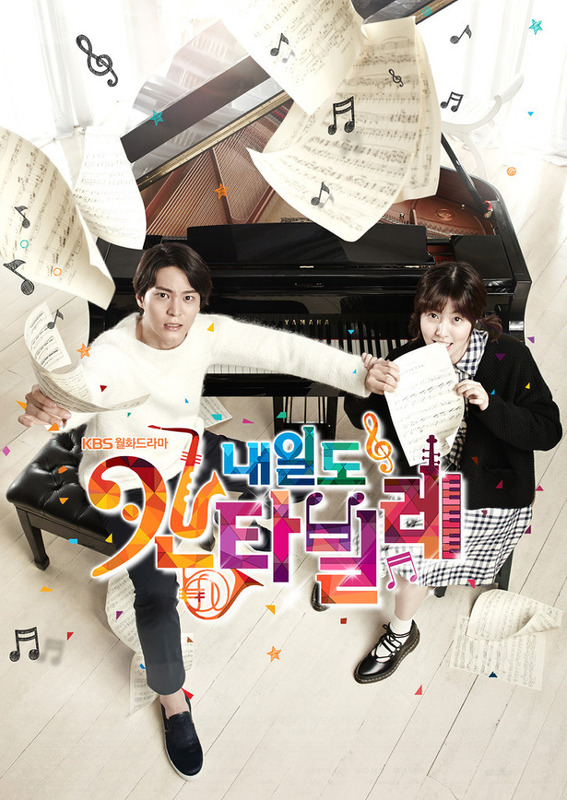 This is the Korean remake of the Japanese drama called Nodame Cantabile. Cha Yoo Jin (Joo Won) is a talented young pianist, who excels in all kinds of instruments, but dreams of becoming a conductor. Having a stubborn and rude personality and firm belief that no one can match up to his own talents, he is almost thrown out of the school. As he is unable to leave the country due to his fear of water and flying, he is unable to leave South Korea. Then he is offered to play a duet with an eccentric girl called Seo Nae Il (Shim Eun Kyung) who due to past trauma only is able to play piano if she finds it fun. Though at first he is reluctant, he notices how talented Nae Il is and decides to perform the duet with her. This makes Nae Il fall for Yoo Jin. When the world famous conductor Franz Stresemann arrives at the school as a teacher guest and wants to make a new school orchestra, Yoo Jin decides to change majors to conducting, but for some reason Franz refuses to let him change to conducting and announces as long as he is there, Yoo Jin will never be able to change the major. What is Yoo Jin going to do? If you’ve watched the Japanese version you will get what this review is about, and if not, I hope I didn’t make it sound too dull. Out of all Japanese remakes ever done this one has the same feel to it – the goofy story and kind of silly people who are very weird yet grown on you fast. To be honest I don’t remember that much of the Japanese drama except the goofy Nodame and the arrogant Chiaki, and they really do manage to be loyal to that part. Both Joo Won and Shim Eun Kyung are great as lead characters, but the one that stole my heart was Ko Kyung Pyo acting as Yoo Il Rak. If you remember blonde Eita as Mine, Yoo Il Rak was his counterpart, and he does the job perfectly. I am not really able to compare the two storylines as I don’t remember, but the Japanese is one of my favorite ones out there – though this Korean remake was kind of not that great. I can’t say I wasn't entertained, but I was kind of annoyed at the love triangle, and the fact that 16 episodes pass without really having a climax – or rather I don’t remember one at all. Okay, summing it up: an okay drama with good acting, and a semi interesting plot/storyline.